Jean Saubert’s big break occurred when Dave McCoy invited her to train at Mammoth Mountain. While skiing for Mammoth, Saubert won the National Ski Association National Slalom and Combined titles in 1957 at Slide Mountain and repeated in 1959 at White Pass, Washington. Jean Saubert was the best of the “Amazing Americans” during the 1964 Olympic Winter Games at Innsbruck, Austria. Her silver and bronze medals represented a second place tie in giant slalom and a third place in slalom. Jean’s time of 1:53.11 equaled the second place of Frances Christine Goitschel in the giant slalom while she was a split second behind sister, Marielle, taking third place in the slalom. It was a brilliant performance for the Oregon State University coed and member of California’s Mammoth Mountain Ski Club. Jean was 22 years old and a product of training programs established at Mammoth Mountain by Dave McCoy, area owner and himself a long-time competitor. She had grown up in Cascadia, Oregon where her father, Jack Saubert, was a Forest Service district ranger. Part of his responsibility was Forest Service administration of Hoodoo Ski Bowl and it was there that Jean got her racing career started. Later the Sauberts moved to Lakeview, Oregon where Jean skied Warner Valley. During this time she was racing, winning national junior championships on the road to senior titles and Olympic and F.I.S. World Championship competitions. Her big step upward came when Dave McCoy invited her to train at Mammoth. There was a string of national junior championships lashed to Jean’s belt when she reached Mammoth. Competing out of the Pacific Northwest Ski Association, she had won the 1957 National Slalom and the National Combined titles at Slide Mountain, Nevada and picked up the same titles in 1959 at White Pass, Washington. For Mammoth Mountain, Jean soon proved a skier to be reckoned with, her triumphs including the 1963 National Downhill won at Alyeska, Alaska. Prior to that, she had competed in the 1962 F.I.S. World Championships at Chamonix in France, placing sixth in giant slalom, ninth in slalom. Ninth in downhill and ninth in alpine combined. There was joy on Mammoth Mountain. The U.S. Olympic Ski Team trained at Mammoth ahead of the 1964 Winter Games. More than half the women were members of the Mammoth Ski Club and for the first time, the entire team returned home together. This gave the public a chance to see the team they had supported and gave the racers an opportunity to test each others’ mettle around the national circuit. Again there were sparkling performances by Jean Saubert including a clean sweep of the National Downhill, Slalom, Giant Slalom and Alpine Combined Championships at Colorado’s Winter Park. She had won several European events ahead of her silver and bronze medals with the Associated Press tabbing her “best woman of the year” going into the Winter Games. During 1965, Jean and other American girls pointed toward the FI.S. World Championships of 1966. This produced an exciting season in the United States with the highlight being the American International Team Races at Vail, Colorado. Here Jean tied Marielle Goitschel to win the slalom and had a fifth in downhill. With the 1966 F.I.S. Championships set for the summer in Portillo, Chile, Jean elected not to race the European circuit and remained to continue graduate studies at the University of Utah. She had already won a place on the 1966 F.I.S. Team and ranked high in the seeding lists. However, Jean did enter the World University Winter Games in Sestriere, Italy, taking a silver medal in downhill and a bronze in the slalom. The summertime F.I.S. Championships followed in Chile where Jean was fourth in slalom and eleventh in downhill to end her competitive ski career. Jean had been involved in a teaching career ever since her racing days, first at Vail Country Day School in Colorado and at Brigham Young University, Provo, Utah. A director of the Intermountain Ski Division, Jean serves on several committees of the United States Ski Association – true tributes to Olympic traits of the fast-flying ski sport. 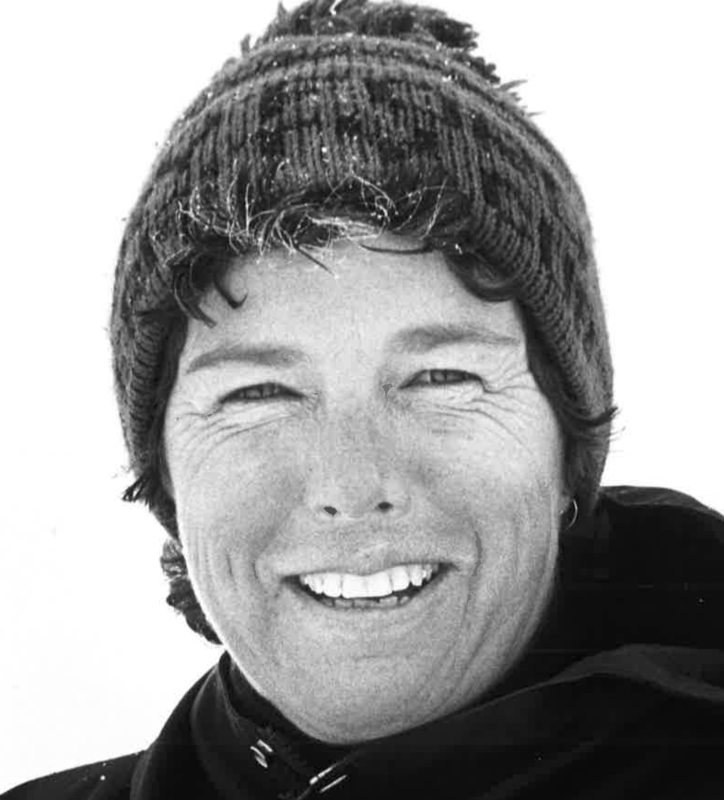 Jean Saubert was elected to the U.S. National Ski Hall of Fame in 1976. If you notice any errors or inconsistencies in Jean Saubert's bio, click here to let us know.